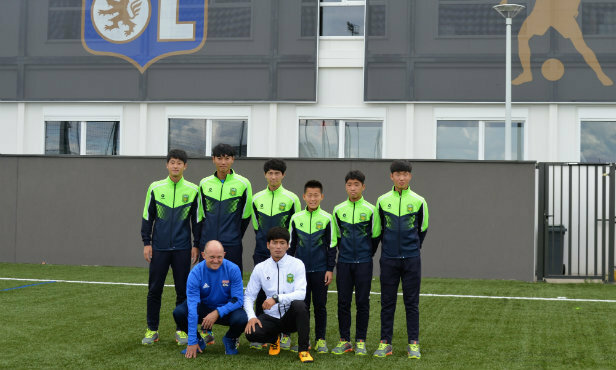 Six players and a coach from partner club Jeonbuk Hyundai FAC spent six weeks in the Olympique Lyonnais training facilities from 15 September to 20 October. The Korean delegation set off for home with a bunch of good memories. Their schedule was packed: a tour of the facilities and the training course at the club academy in Meyzieu. Three Korean players from the class of 2004 had the chance to meet Christian Bassila's U13s then the three others, born in 2001, trained wih the U16s coached by Amaury Barlet and Joël Fréchet. "This was a great experience for the group", explained Joël Fréchet. "These boys had the chance to experience European football and train in our facilities with the dream of one day playing for us in their hearts. For the trainers and our players, it's always equally valuable to rub shoulders with another take on football and to discover another culture. Even if there's a language barrier, we all speak the same language with football." Before heading back to Jeonbuk Hyundai FAC, the six Korean players were wished well by the academy's director, Jean-François Vulliez and were in the front from to see OL's win against AS Monaco.